Show your family a screaming good vacation at Disney, Universal, or one of these other gravity-defying destinations. This is still a working studio and stars are often on set filming an upcoming blockbuster. First board the newly expanded Studio Tram Tour (included in admission) to see back lots and soundstages, the Bates Motel and Psycho house, Spielberg's War of the Worlds set, and the Jaws lake. Then, it's on to the movie- and TV-themed rides. 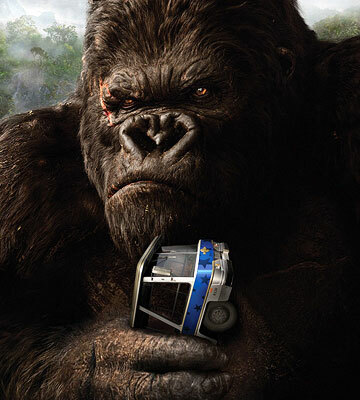 Thrill: King Kong 360 3-D Created by Peter Jackson is the latest addition to the Tram Tour: Come face to face with the ape battling a T-Rex—the high-def images and surround-sound effects are beyond intense! Next experience the ultra-scary Revenge of the Mummy—The Ride. Or try the milder Shrek 4-D, or wacky The Simpsons Ride, a virtual trip with Bart and the gang to Krustyland. Universalstudioshollywood.com; a one-week unlimited pass available online only $69, under 48 inches $59, with Front of Line pass to all rides and attractions, $129. Chill: Located at Universal's main gate, the Hilton Los Angeles/Universal City has a pool and views of the park and Hollywood hills. Hiltonuniversal.com; nightly rates start around $159. The hip, boutique-style Hollywood Heights Hotel is in the heart of LA (near the Walk of Fame), but just a few mile drive from Universal. Hollywoodheightshotel.com; nightly rates start at $139 when purchased in advance; 866-696-3157. Southern California Travel Tip: Scope out local sights at DiscoverLosAngeles.com and Sandiego.org, and search theme park bargains at MousePlanet.com, MouseSavers.com, and AllEars.net. 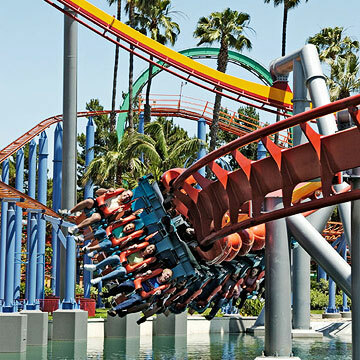 If you're planning to visit multiple parks, the Southern California City Pass might be a good bet: It gets you into Universal Studios Hollywood, SeaWorld, the San Diego Zoo, Disneyland/California Adventure, and the San Diego Wild Animal Park (three-day park hopper); $269; ages 3-9, $229; citypass.com. Disneyland is smaller and more manageable than its Florida counterpart, but still has plenty for tweensters. Allow at least two days to explore it and neighboring California Adventure park. Save line time by obtaining free FastPass tickets for selected attractions; monitor waits with a smartphone app like Mobile Magic (for Verizon) and Mouse Wait and Disneyland CA Planner (for iPhones). Thrill: In Disneyland, careen across snowy slopes on the Matterhorn Bobsleds; conquer Space, Splash, and Big Thunder Mountains; and narrowly escape snakes and boulders on Indiana Jones Adventure. Michael Jackson fans will love Captain EO, a 3-D movie featuring the King of Pop at his peak. 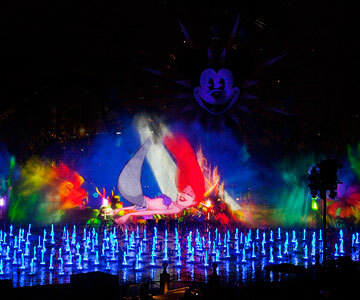 Be sure to catch the new nighttime World of Color show in California Adventure, where Disney and Disney-Pixar movie scenes are projected on giant mist screens created by nearly 1,200 fountains. 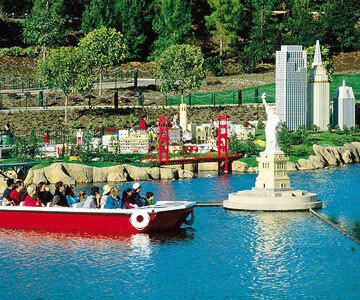 Disneyland.disney.go.com; one day/one park, $72, ages 3-9 $62; park hopper tickets start at $97; ages 3-9 $87. Chill: Disney's centrally located onsite resorts are close to gates, eateries, and shops. An added perk: Early park entry on designated days. Disneyland.disney.go.com; special rates for two-night minimum stay range from $169 per night for Paradise Pier and Disneyland Hotels to $213 for Grand Californian Hotel & Spa; 714-956-6425 or 866-60-DISNEY. Howard Johnson Plaza Hotel—Anaheim Resort is a quick walk away, and has a splashy water park and pool. All rooms have a fridge and free WiFi; deluxe and premium rooms also include a microwave. Hojoanaheim.com; nightly rates start at $119 per night; 714-776-6120. Best known for its marine shows, this park also offers some really rockin' rides. Thrill: Get seriously soaked on Journey To Atlantis, a combination flume/water coaster. Then take a stormy simulated helicopter journey to the top of the world on Wild Arctic attraction and view real belugas, walruses, and polar bears. At the new Blue Horizons spectacular, check out aerialists, dolphins, bungee jumpers, high divers, exotic birds, and pilot whales. 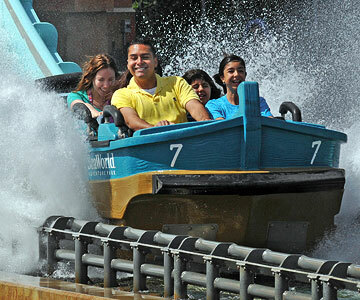 Seaworldsandiego.com; $69 for a seven-day pass, $59 for a one-day pass, ages 3-9 $59. Chill: Adjacent to SeaWorld, the waterfront Hyatt Regency Mission Bay Spa and Marina has three lagoon pools, each with a waterslide, plus nighttime s'mores and dive-in movies through Labor Day weekend. Missionbay.hyatt.com; Adventure Package starts at $239 per night and includes 20% off on up to four tickets to either SeaWorld, Legoland, the San Diego Zoo, or Wild Animal Park, and 20% off hotel restaurant meals; 619-224-1234. The intimate Porto Vista Hotel is located in downtown San Diego's Little Italy, about four miles from SeaWorld, and minutes from the zoo, historic Gaslamp quarter, and Petco Park. 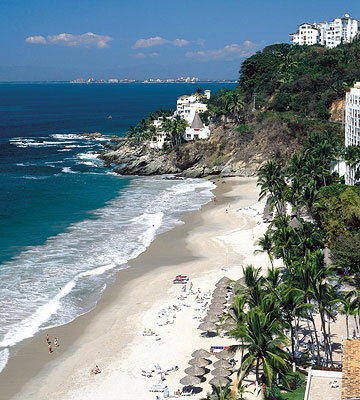 Portovistasd.com; nightly rates start at $110; 619-544-0164. Two parks in one, offering traditional looping rides and the Boardwalk's nine wet and wild amusements—like Tidal Force and Roller Soaker. 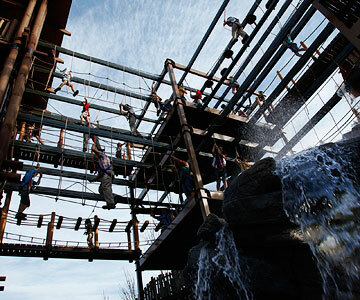 Thrill: Coastline Plunge's four slides spiral at high speeds, shoot through tunnels, and roar through rapids. 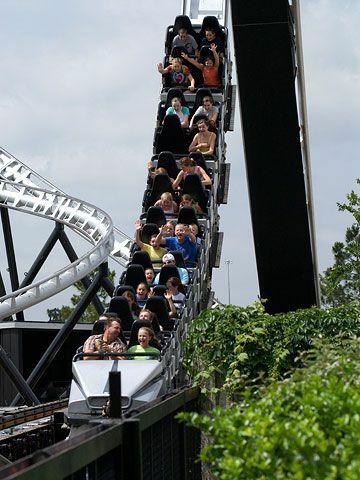 Air-dry on the vertical lift Fahrenheit coaster, which has feverish flips and rages 121 feet up followed by a 97-degree drop. Take a break from the action at the on-site ZooAmerica. 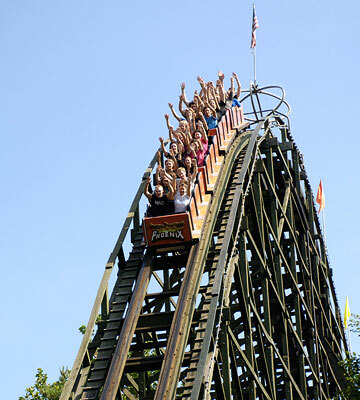 Hersheypark.com; $53 adults, ages 3-8, $32; 800-HERSHEY. Chill: Hershey Lodge perks include swimming, free park shuttle, discounted tickets, and passes to the Hershey Gardens and the Hershey Story Museum. Nightly rates start at $289. A more rustic option is the Hershey Highmeadow Campground. Hersheypark.com; nightly rates for tent and RV sites starting at $41 and cabins for $90; 800-HERSHEY. Universal Studios Florida and its adjoining Islands of Adventure are already big hits, thanks to the Simpsons Ride, Hollywood Rip Ride Rockit, and the Incredible Hulk. But it's the long-awaited Wizarding World of Harry Potter that has everyone talking—and queuing up. Author J.K. Rowling has played a role in each magical detail, from the Hogwarts Express locomotive to the nonalcoholic Butterbeer to the towering Hogwarts Castle. Thrill: In Harry Potter and the Forbidden Journey, Harry and friends whisk you along for the ride: narrowly escaping a dragon, competing in a Quidditch match, and encountering the Whomping Willow. Afterward, try the high-speed twin Dragon Challenge coaster or the milder Flight of the Hippogriff. Then shop at Ollivanders, where the wand chooses you! 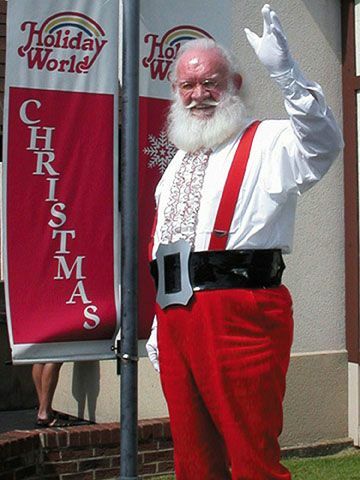 Universalorlando.com; $79 adults, under age 10, $69; one-day, two-park pass $109, under age 10, $99. Chill: At all Orlando Loews on-site resorts—including the very cool Hard Rock Hotel—guests get early admission and express line privileges. Loewshotels.com; rates start at $249. 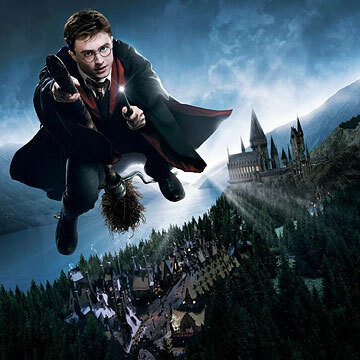 Quality Inn International four-night Harry Potter package includes tickets to Universal's theme parks and a breakfast at Harry Potter's Three Broomsticks Restaurant. 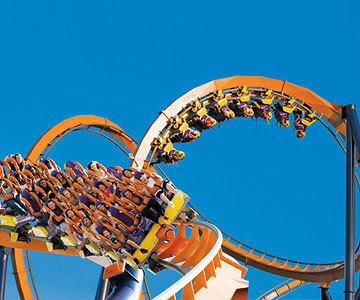 Universalorlando.com; $285 adults, kids under 10, $130; 877-801-9720. Disney has pumped up the thrills and interactive experiences for tweens and teens at its four theme parks and two water parks. Use Fast Pass when available—and stay instantly updated on wait times by downloading a smartphone app like Lines (for iPhone, BlackBerry, Android, and Palm Pre) or Mobile Magic (for Verizon Wireless devices). For planning in advance, check out the seriously thorough guidebook The Complete Walt Disney World 2010 (Coconut Press). Thrill: In Hollywood Studios, hightail it to the Twilight Zone Tower of Terror. Next door, the Rock 'n' Roller Coaster zooms and flips to a smokin' soundtrack. And don't miss the American Idol Experience, which has guests 14 and older competing as the audience votes for favorites. 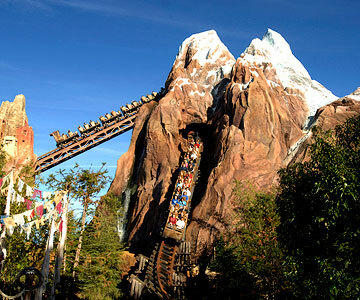 At Animal Kingdom, head straight to the Expedition Everest coaster, then check out the Festival of the Lion King. And don't miss the quintessential Disney experience, Magic Kingdom. The three mountain rides—Space, Splash, and Big Thunder—and spectacular fireworks will make even older kids' dreams come true. Disneyworld.disney.go.com; per-park admission $79 adults, ages 3-9, $68. Chill: Disney resorts offer free shuttles to all its parks, Extra Magic Hours, and airport transfers. Wind down at the charming Port Orleans Riverside. Disneyworld.com; nightly rates start at $170; 407-W-DISNEY. Or go off-site for the comforts of home—kitchen, washer/dryer—plus features like seven pools, including a lazy river, at Holiday Inn Club Vacations Orange Lake Resort. Hiclubvacations.com; nightly rates for a two-bedroom villa start at $126; 888-HOLIDAY. Just north of Richmond, discover 15 crazy-fast coasters, including one billed as the biggest and baddest on the East Coast. 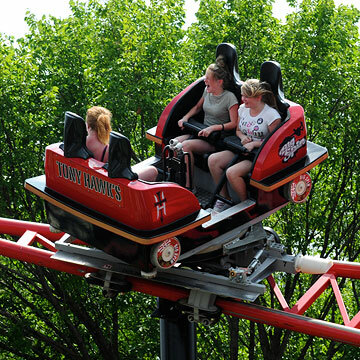 Thrill: The new Intimidator 305 climbs, plummets, and tears around hairpin turns at over 90 mph. Catch your breath at the water park, then blast out of a lava-spewing mountain on Volcano. Kingsdominion.com; $57 adults, under 48 inches $34. Chill: The Best Western Kings Quarters is within walking distance to the park. Bestwesternkingsquarters.com; nightly rates start at $99; 800-WESTERN. 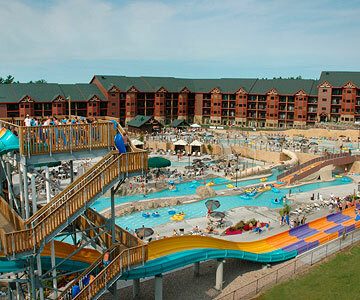 The resorty Wyndham Virginia Crossings, in nearby Richmond, has golf and a pool. The Families on the Civil War Trail package starts at $199 per night for two adults and two children, and includes breakfast and admission to Civil War sites like Richmond National Battlefield Park. Wyndhamvirginiacrossings.com; 888-444-6553. 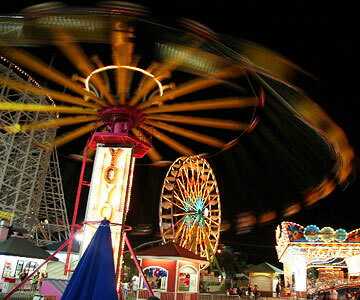 Enjoy the scenic ocean views on the seaside Ferris wheel, then test your skills by playing classic carnival games. Pay per ride ($2 to $5 each) or get an unlimited-ride wristband. 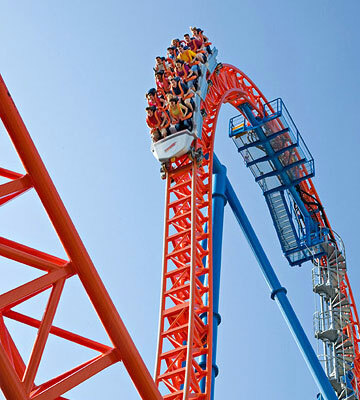 The roller-coaster capital of the world has 17 stomach-churning versions, from steel giants to classic woodens to the awesome Mantis, which you ride standing up. 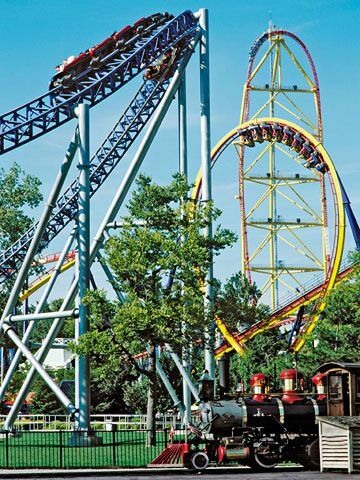 Thrill: The towering Top Thrill Dragster hurls you downhill at a gut-wrenching 120 mph. Follow with the 310-foot-tall Millennium Force—ranked as one of the best steel coasters. Ratchet down the intensity on the new Shoot the Rapids, a flume with spritzes and two drenching drops. Cedarpoint.com; $46 adults, under 48 inches $20. Chill: Hotel Breakers, located across a boardwalk from Cedar Point, offers early park entry and discounted admission. Resorts.cedarpoint.com; rates start at $161; 419-627-2106. A short drive away is the Maples Motel, a classic motor lodge with pool, hammocks, and free doughnuts. Maplesmotel.com; rates start at $50; 419-626-1575. 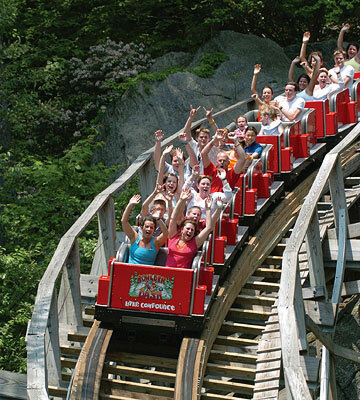 It may be the nation's first theme park, but the nine mega-coasters are anything but old-fashioned. Thrill: Rip around curves on Pony Express; count inversions on the suspended Silver Bullet coaster; free-fall on the Supreme Scream. And don't miss Mrs. Knott's Chicken Dinner or the boysenberry jam (this was once an actual working berry farm). Chill: Knott's Berry Farm Resort Hotel is right by the park. There is a free shuttle to Disneyland and Universal is a short drive. Knottshotel.com; nightly rates start at $130. Good Nite Inn Buena Park has a pool and includes breakfast. Goodnite.com/buena-park; nightly rates from $60. This Texas Hill Country gem has innovative rides and outrageous special effects. 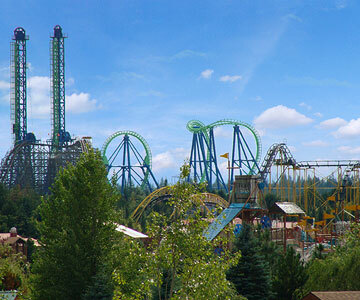 Thrill: Start with Master Blaster, a wicked water coaster. Then raft through fog-filled tunnels and ravines in Dragon's Revenge. 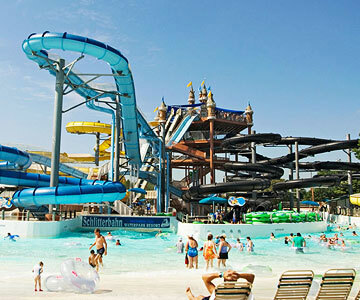 Schlitterbahn.com; $42 adults; kids under 12, $34; 830-625-2351. Chill: It's worth the 40-minute drive to Hyatt Place San Antonio/Riverwalk, where you can check out the Alamo and the River City's other historic sites. Hyatt.com; nightly rates start at $171 with breakfast; 210-227-6854. Historic Kuebler Waldrip Haus Bed and Breakfast is minutes from the park as well as tubing on the Guadalupe River. Kueblerwaldrip.com; rates from $125, including breakfast and ice cream; 800-299-8372. This western-themed park is known for the suspended Steel Lasso and free concerts. The first Six Flags boasts some of the coolest coasters, like the revolving Tony Hawk Big Spin.